Power steering has become an essential feature in so many vehicles that it’s tough to imagine driving without it. There’s often nothing more frightening than finding out that your power steering is no longer working. Such a technical problem can occur while your vehicle is parked or in motion. In both cases, there are a few steps you can take as a driver in order to ensure that you, your passengers, and fellow road users are safe. There’s no mistaking a power steering problem. You will feel just how heavy the steering wheel gets when the hydraulic system fails. Trying to turn the wheel will certainly make you break a sweat! One of the most common causes is the lack of fluid. If this is the case, you will need to top it up with fresh fluid. If you have recently topped it up or checked and the fluid was full, you might have a leak somewhere. The best way of preventing this kind of wear is by performing regular maintenance and making sure that you have your vehicle inspected regularly. As soon as any parts show signs of severe wear, your mechanic will let you know and advise on the necessary steps to ensure that your power steering does not let you down. If you notice a puddle of power steering fluid under your car, this is a clear sign of a leak, and you should rather avoid driving your car until you have it checked by a professional. The pump can also prove problematic and, if this is the case, you will definitely need a technician to diagnose and repair the fault. You will usually hear a loud noise when turning the steering wheel. If, for whatever reason, you miss these signs and your power steering fails while you are driving, what can you do? The first thing to remember is to stay calm. Turn on your blinkers so that others know that you are experiencing a problem. Honk your horn to get the attention of other drivers so that they can avoid a potential accident. 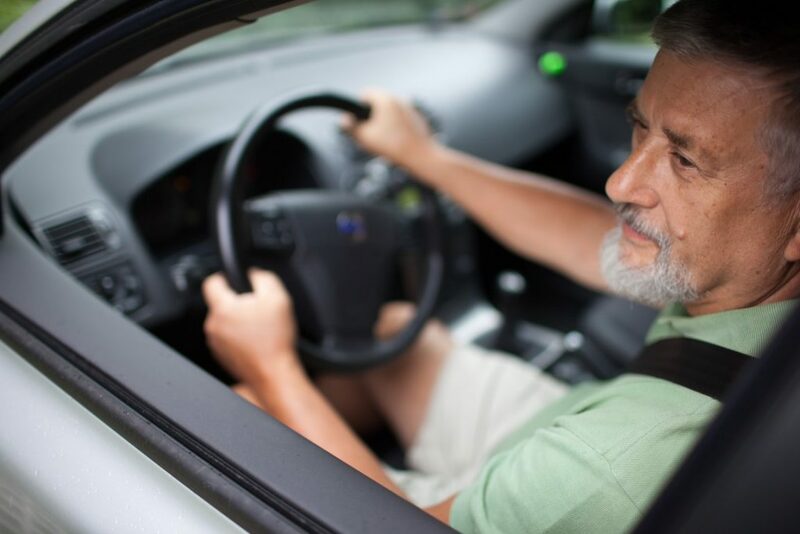 You will need to put a lot of muscle into turning the wheel so ease off the gas and turn as much as you can to pull over to the side of the road gradually and without causing other drivers to swerve or panic. Do not slam on the brakes or you could cause your vehicle to go into a tailspin. Once you are on the side of the road, stop your vehicle and set up the appropriate signals like your reflective triangle and so on. Call for help right away and make sure that you call your auto warranty provider so that any towing and work will be covered according to the terms of your agreement. With all this in mind, don’t forget that prevention is better than cure. Being a driver means that you need to be prepared for anything and this includes wear and tear as well as unexpected car trouble. Contact A-Protect Warranty today at 1-866-660-6444 for extended auto warranty advice by experts who care.